Detailed demonstration of Kinesio Taping® methods across all areas of the body, treating a tremendous number of injuries and conditions. 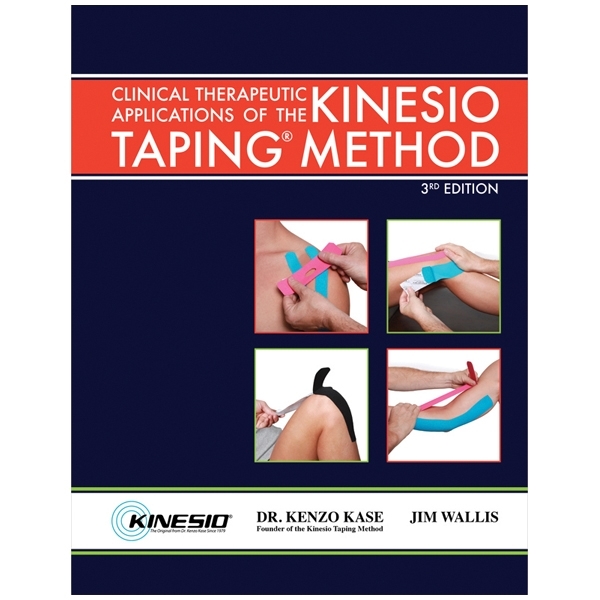 Written by the founder of the Kinesio Taping® Method, Dr. Kenzo Kase, Clinical Therapeutic Applications of the Kinesio Taping Method goes into great detail on how to apply Kinesio® Tex Tape for specific injuries. This book provides thorough descriptions, as well as pictures, on which Kinesio Taping application to use and how to apply the tape for a large number of injuries and conditions in a clinical setting. Written by Dr. Kenzo Case, Jim Wallis and Tsuyoshi Kase. Illustrated. Spiral-bound softcover; 276 pages.